Never slow on emulating anything that the continental classic races can contemplate, the 15th edition of the Rutland – Melton International CiCLE Classic on Sunday 28th April is to provide its own Andrea Tafi moment. Just a few months ago the former top Italian rider, and former winner of ‘Paris-Roubaix’ announced his wish at the age of 53 to once again ride in that race. 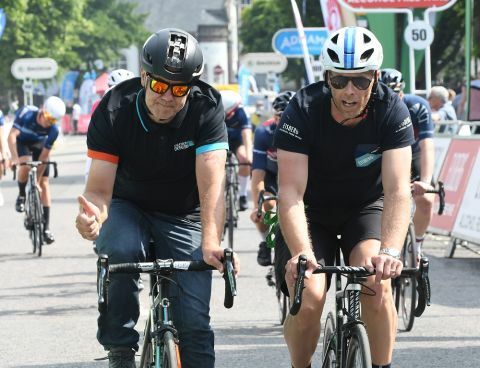 Whilst his wish fell on ‘deaf ears’ from major continental teams, this year’s Rutland – Melton CiCLE Classic will see former World Professional Pursuit and British Road Race champion Colin Sturgess take on today’s best riders at the age of 51 years. Sturgess, who in recent year’s is better known as a Team Manager, has an awesome pedigree in that role, ‘steering’ Dan Fleeman from the small Melton based Metaltek-Kuota squad to a popular local victory in the 2017 edition of the CiCLE Classic, and more recently Connor Swift to victory on behalf of Madison – Genesis at the 2018 National Road race championships. He is no stranger to getting the best out of others, and in his younger years, himself. Sturgess will line up in the Pearce Jewellers-RDA sponsored East Midlands team alongside locals Rob Orr and Tom Dussek together with guest rider Russell Downing, himself a former British National Road champion and member of Team Sky.